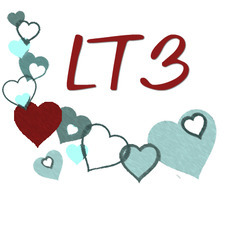 This will prevent LT3 from sending you messages, friend request or from viewing your profile. They will not be notified. Comments on discussion boards from them will be hidden by default. Sign in to Goodreads to learn more about LT3. The ghost responsible for the message refuses to appear while Kit is nearby, but Edward and Kamaria learn the fireworks are blended with the ashes of a deceased woman. The woman, Rose, convinces them to return her ashes to her wife, Petra—so Kit, Kamaria, and Edward head off on a road trip. ...more "
Summer has been Lily McBride's favorite time of year since she was a kid, because that's when the Brookesville Playhouse opens. Now that she works as their tech director, Lily wants more for her beloved Playhouse: a larger audience, a longer season, and exciting shows to draw new patrons. This year, though, she also wants Genevieve Mason, a pretty starlet-in-the-making from the local university, recruited for the tech crew. Genny throws her heart and soul into the place too, adding her own dreams of representation to the 'must-have' list, and using her sweet voice and surprising flare for pyrotechnics to draw the crowds in droves. They work so well together, it's not long before their summer crush blossoms into a steamy affair. Lily's falling hard, but always feels like Genny's holding something back. And then there's the dreaded Brookesville Arts Council—supposedly a support system for all things cultural, instead dragging the Playhouse down with their old-fashioned stubbornness. ...more "
Powerful magic users are steadily dragging the planet into a violent war, and evil forces will stop at nothing to take the talismans possessed by Dakota and his newfound family. Dakota soon finds himself deeply in over his head—with love, with family, with fighting for all their lives. ...more "
After defeating an alien invasion, Earth has taken its place in the interstellar community. But not all alien species are thrilled to welcome humanity, and it's Benjamin's job to work with those species to prevent wars. The Aradon pose the biggest challenge of his career. Not only is there little information about their history or culture, it seems they don't actually sign treaties, but instead seal alliances through marriages... ...more "
When several soldiers are attacked by wolves in the Duchy of Kamare, Prince Athanes travels north to solve the mystery. But the more he learns of the attacks, the more he realizes there is far more at play than hungry, desperate animals looking for food. He finds an unexpected ally in Faelan, a local hunter, but even he seems to have his own secret agenda... ...more "
Take a look at LT3’s Year in Books. The good, the bad, the long, the short—it’s all here.